Are you ready to become super jealous of my breakfast? 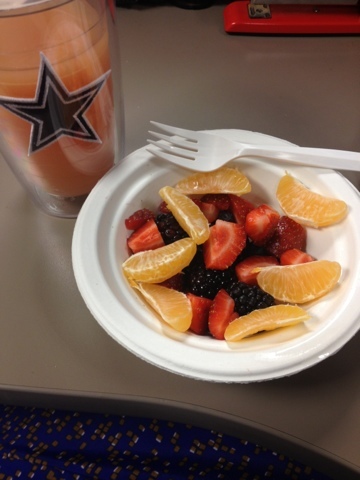 Strawberries, blueberries, blackberries, and a cutie / tangerine. I washed my bowl of fresh fruit down with a glass of grapefruit juice! I am making giant strides my friends. Also, I didn’t have a food meltdown today.